The exquisite pear shaped diamond is often referred to as the teardrop cut thanks to its interesting shape with a rounded bottom and narrow, pointed top. This diamond takes a cue from both the round brilliant and the Marquise cuts, combining both of their brilliance and designs into one unique shape. Although is is known and loved in today’s world, where did this incredible pear-shaped diamond come from? Although this edgy style may seem modern and new, its origins trace back to 1458, created by Flemish polisher named Lodewyk van Berquem. Does this name sound familiar? If so, it could be because van Berquem was the same diamond cutter who is responsible for the concept of symmetry and placement of facets in popular diamond cuts. Without van Berquem, diamonds would not be cut in a certain way to maximize the shine and sparkle that radiates from each rock. When van Berquem first introduced the pear-shaped diamond, it was not as much of a success as it is today. Despite the public reacting positively to the shape of this new diamond, many were not happy with the amount of rough diamond lost during the cutting process. Even though people were not immediately smitten with the pear-shaped diamond when it was introduced, times sure have changed! 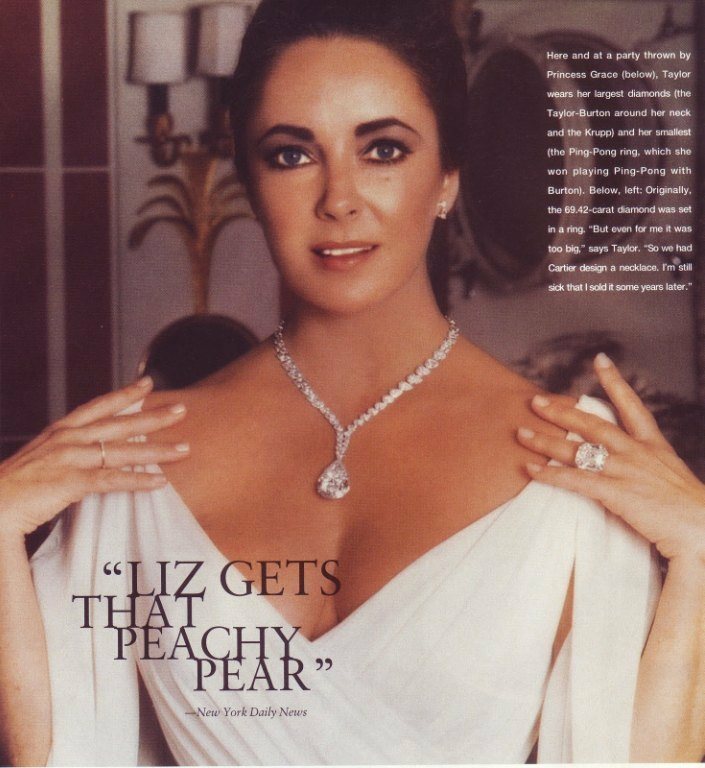 Many celebrities, from Victoria Beckham to Katherine Heigl have rocked the pear diamond engagement ring, but perhaps the most famous diamond in this shape was worn by none other than Elizabeth Taylor. The Taylor-Burton Diamond, a 69.42-carat pear-shaped diamond, was originally cut by Harry Winston and set in a platinum ring. It was sold in 1967, but put back up for public auction on October 23, 1969. Bidding started at $200,000, and biggers included Richard Burton (Taylor’s then-husband), as well as Harry Winston, the Sultan of Brunei, Aristotle Onassis (of Jackie Onassis’ fame), and Robert Kenmore, who owned the parent company of the jewellers Cartier. Kenmore, and thus Cartier, won the auction, and named the diamond the “Cartier Diamond.” However, Richard Burton was dead-set on getting the diamond for his love and diamond aficionado, Elizabeth Taylor. He had his lawyers contact Kenmore to buy the diamond regardless of price. It was sold the next day for $1.1 million, and given to his love and diamond and was renamed the name it still carries today, the Taylor-Burton Diamond. 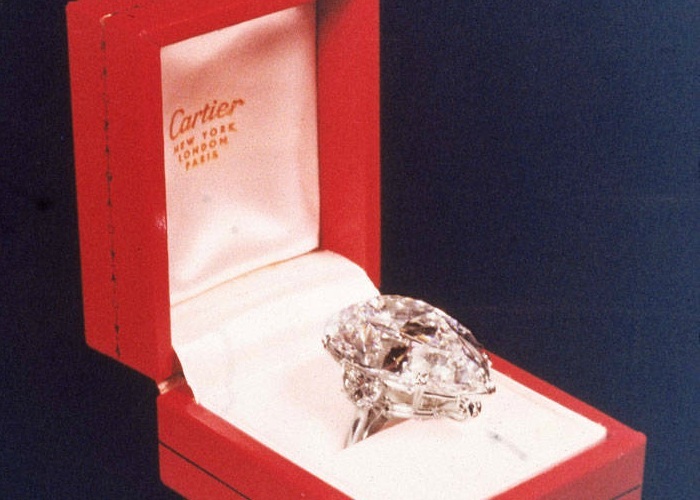 Part of the purchase, however, was that Burton and Taylor agreed to allow Cartier to display the gem in their New York store for a period of time—during which up to 6,000 visitors a day would flock to catch a glimpse of this mesmerizing diamond. Elizabeth Taylor eventually had the diamond reset into a necklace, and wore it to both Princess Grace of Monaco’s 40th birthday, as well as the 42nd Academy Awards. Over the years, this massive pear-shaped diamond has become one of the most well-known pieces in Taylor’s extensive jewelry collection, mainly because of its incredible size and beauty. The pear-shaped diamond should be worn by confident women who wish to stand out and own a truly unique piece of jewelry. Pear-shaped diamonds are commonly used as gems in necklaces and earrings. When set in a ring, this cut can be worn as solitaire to draw the focus directly to the shape, or worn with side stones. 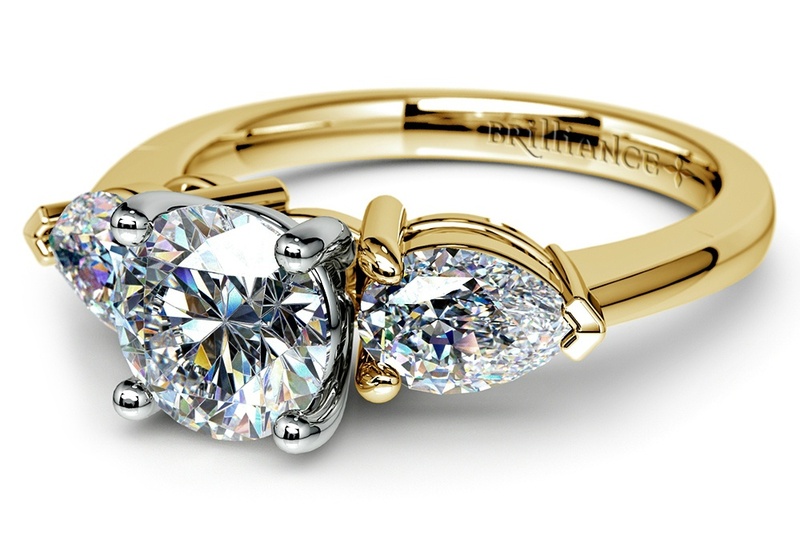 Pear-cut diamonds also make for great side-stones themselves. Be sure to choose a setting with a prong at the tip of the shape, as that protects this vulnerable part of the diamond from chips and other damage. Another important aspect to consider when selecting the perfect pear-shaped diamond is the color. Although many buyers are only concerned with the carat, when it comes to pear shapes, it’s essential to observe the color as well! Pear-shaped diamonds over one-carat in weight may seem to be darker at the tip, leading many buyers to move up one color grade than they normally would go with other shapes. Be sure to talk to your jeweler for help finding the pear-shaped diamond of your dreams!